Please, check your form fields! 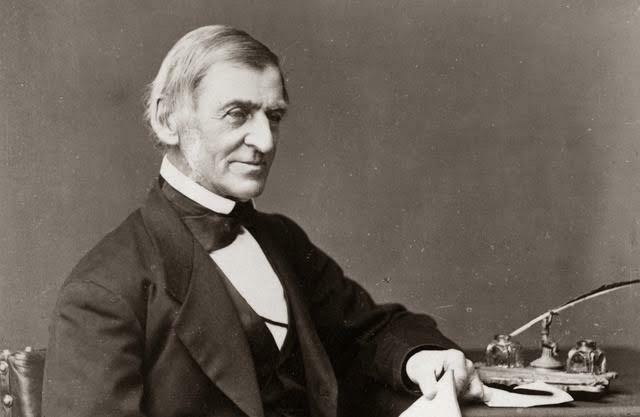 The great essayist Ralph Waldo Emerson once wrote, “The ancestor to every action is a thought.” Clearly, if our thoughts are not organized and clear, our actions won’t be either. Taking Emerson’s idea even further, mastery is not just a function of learning some tools and techniques—it’s also learning to thinkproperly about your craft. I’ve studied and interviewed thousands of highly successful client-facing professionals who consistently outperform their peers, and I’ve observed the specific skills and strategies they use to become trusted advisors to their clients. But there’s more to their success than the specific types of questions they ask or the skill with which they listen. They also perform better because they think differently than their less-successful peers. This is a major part of the difference between the good musician and the great musician. I play classical guitar, and even if I could perfectly imitate some of Andres Segovia’s playing techniques, I still wouldn’t sound like him because I am not able to think about and approach a piece of music the way he did. A master performer also has different habits of thought, and greater knowledge of the music, than I do. It’s not just about their technique—it’s also about how they think. One: They define their role differently than their peers. Great rainmakers see themselves as being in the business of helping their clients accomplish their most important goals—period. Other “experts for hire,” in contrast, view themselves as in the business of fixing a specific problem or set of problems that clients may have. By defining your role as improving your client’s business—in any and every way possible—you see and hear things differently. You define the available market for your services as being large, not narrow and circumscribed. Rather than run away from a discussion where you feel you aren’t the “expert,” you jump in with a few well thought-out questions. You may then bring in a colleague who does have the necessary expertise—or, you may ultimately tell the client that it’s not in your sweet spot. But either way, you have positioned yourself very differently than your competitors. Two: They focus on abundance—on possibilities—not scarcity. This is a key difference, which I observed and wrote about 15 years ago in Clients for Life. Here’s what I mean: I once had an idea to develop a seminar on how the Beatles worked together as a team and innovated their music. I also began writing an article on the subject. Several knowledgeable people advised me that it was a silly idea and tried to discourage me. They said the music business was dirty, that musicians took a lot of drugs, and besides—what could business people learn from a group that broke up 40 years ago? I pursued it, however, and it became and still is one of mymost popular workshops. And, the article I wrote for strategy+business became my most widely reprinted and downloaded article ever, with coverage in the New York Timesand other important media all around the world. Who do you want as an advisor: someone who is a chronic naysayer or someone who encourages you (while of course not steering you off a cliff…)? Professionals with an abundance mentality look for opportunities, growth, and expansion. They are positive and upbeat in their demeanor. They encourage others. They feel that there are rewards enough to go around for everyone—they know that a “rising tide” lifts all boats. When you have a scarcity mentality, you are primarily concerned with what might go wrong and what won’t work—you’re risk-averse. You focus on the downside of new proposals rather than the potential rewards. You believe that life is a zero-sum game, with a limited amount of opportunity to go around. You hesitate to make investments that don’t show an immediate return. Three: They combine a long-term perspective with a great sense of short-term urgency. This is a fascinating and powerful combination of opposing behaviors. The really successful client advisors I have studied all take a long-term perspective. Their time horizon for building relationships is long—basically the rest of their career, which could be 20 or 30 years. So if the client isn’t ready to do business today, they don’t fret it—rather than getting upset, they continue to stay in touch and slowly build a relationship over time based on continuous value-added. At the same time, they have an intense sense of urgency and a drive to win when an opportunity presents itself. They are all over a potential deal, 24/7, and won’t rest until they’ve given it their best shot and exhausted all possible strategies for winning. They are relentless. By simultaneously focusing on both the short term and the long term, great rainmakers fill their coffers today and also build the foundations for a strong leadstream in the future. Four: They align with the client’s highest-level agenda, rather than accepting the immediate symptoms. Back when I was a senior partner at Gemini Consulting, I remember walking out of a sales call with our global head of business development, Jim Duffy. Jim asked me what I thought the opportunity was. “I think there’s a nice strategy project here for about $300,000,” I told Jim. “That’s funny,” he replied, “I didn’t hear that at all. I heard that they need to transform their whole business model, and that’s a multi-year, multi-million dollar effort.” And ultimately, it turned out he was right! Because my focus at the time was strategy and organization consulting, I only “heard” that level of the client’s agenda. I focused on the need as narrowly described by the client, not their broader business goals. My colleague, on the other hand, focused on the higher-level agenda. As a result, he was selling very large, high-impact programs. By shifting the way I defined (or reframed) my clients’ issues, I more than doubled my own sales over the next couple of years. Five: They truly, deeply believe the client needs them.Great rainmakers believe that they have an incredibly valuable solution to offer clients, and that clients need it—badly. They don’t approach prospects with a defensive, doubting, or insecure frame of mind—feeling that, even before they walk in the door, the client probably won’t want or need what they can provide. They feel it’s a crime when clients don’t buy from them. They are genuinely shocked and saddened when someone purchases a competitor’s inferior offering. Here’s the point: This attitude motivates them to be persistent and not give up, it instills confidence, and it kindles an enthusiasm that is contagious. Remember, if you don’t have a rock-solid—even exuberant—belief in what you can do for clients, why should they believe you can help them? Six: They see the entire chessboard, not just a few pieces.Former Secretary of State Henry Kissinger is a great example of someone with the ability to visualize and manage multiple stakeholders. He conceptualized a triangular balance of power between China, the Soviet Union, and the United States, which was obvious in hindsight but almost unthinkable at the time. Other leaders focused on the United States’ individual relationships with each country, whereas Kissinger thought about the whole chessboard. In 1968, Russia was the major threat to the United States, whereas China was a pariah, a political outcast. Kissinger felt that a rapprochement with China would pressure the Soviet Union into moving closer to the United States, and subsequently force all three nations into a more stable relationship with more closely aligned national interests. Both Russia and China, he believed, would seek acommon bond with the United States. This strategy was neither intuitive nor obvious at the time; in fact, there was great resistance in the State Department and in other quarters to meeting with the Chinese at all. Similarly, the most successful rainmakers think about building multiple stakeholder relationships across the organization, not just connecting with one key executive. In chess terms, they will be as concerned with the pawns, knights and bishops as with the rooks, queen, and king. Seven: They integrate an understanding of the rational, emotional, and political. Most professionals believe that clients will make a decision based on a rigorous examination of the facts and an assessment of who has the best product or service. Great rainmakers know that nothing could be farther from the truth. Clients make decisions based on a blend of analysis, their own emotional needs and perceptions, and the political dynamics in their organization. “Facts tell, emotions sell.” Your solution may look best on paper, for example, but a client may not feel as comfortable about working with you and your team—or, they perceive some risk factors in using you that tilt the scales to your competition. Eight: They are always thinking about their clients. The most successful advisors I have studied are almost obsessively client-focused. They think about their clients all the time, and are always pondering what more they can do to help them. When they read something, learn something new, or meet someone, they always screen it through the lens of their clients’ needs and interests. This leads to a steady stream of ideas, introductions, and small communications that keep them in regular contact. It’s essential to learn new skills, tools, and techniques. But don’t stop there. By adopting these habits of thought, you can dramatically transform your success with clients. To access the free Power Tools immediately, enter your email here. You will also receive Andrew's acclaimed monthly newsletter, Client Loyalty, and Andrew will notify you in the future of major new updates and additions to the collection of Power Tools. You can, of course, unsubscribe at any time.